Christie’s beloved detective, Hercule Poirot, is on the case once again as he solves the mystery as to why Sheila Webb arrived at 19 Wilbraham Crescent expecting to meet an elderly blind woman, she instead found herself in the living room with a dead man. Young Shelia works for Cavendish Secretarial Bureau as a typist and was sent to the site for a job as instructed by her boss, Miss Katherine Martindale, but Miss Martindale’s records show she never received such an employment request. Secret agent Colin Lamb cannot piece together the crime, explain Sheila’s role in discovering the body, nor understand the alibis of the many neighbors who claim to have never witnessed any part of the crime. 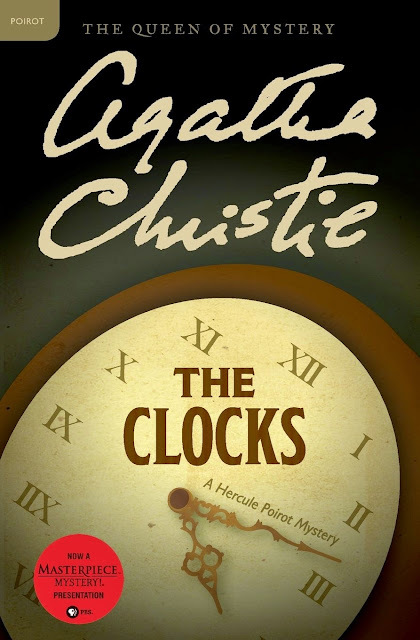 Using only his deductive reasoning, unequaled talent for solving crime, and "little grey cells," Hercule Poirot listens to Lamb’s case and discovers who killed the man, why Sheila was called to the home, what the blind homeowner really knows, and where the four clocks surrounding the body all came from. Though mostly narrated by British special agent Colin Lamb—a character not as compelling as Poirot’s usual ally Arthur Hastings—the case itself is intriguing. More page-turning than Colin’s instant attraction to Sheila is the large cast of curious neighbors Colin interviews as he tries to crack the case: brother and sister James and Edith Waterhouse, contractor Josiah Bland and his distrustful wife Valerie, single mom Mrs. Ramsay and her rambunctious sons Bill and Ted, Gretel and Angus McNaughton who spend a considerable amount of time in a suspicious garden shed, and young Geraldine Brown who spends her days spying on them all from her bedroom window. Most impressive is how Poirot deftly cracks the case and a few other crimes while he’s at it all without ever stepping foot on Wilbraham Crescent. The Clocks shows Agatha Christie's amazing writing skills never faltered. Agatha Christie. God. She's been on my list of authors to read before I croak. Lol. Are you familiar with all her works? Where should I start? Hi! I first started reading her books a couple of years ago and I've read maybe a dozen so far, mostly from her Hercule Poirot detective series (I adore him). You can read any of her detective series novels on its own without going in order, but my favorite novels thus far are "And Then There Were None," "Murder on the Orient Express," and "The Murder of Roger Ackroyd."